A trip I had planned already since longtime and on a beautiful Sunday I finally decided to ride it with a friend in the counter clockwise direction. We left early and managed to get a free parking lot close to the center of Annecy where we started our loop on the magnificient bike path which offers very scenic views on the lake and its fantastic surrounding mountains. Unfortunately I forgot to charge the battery of my camera and could ony take two photos with my iphone – one of each col sign. 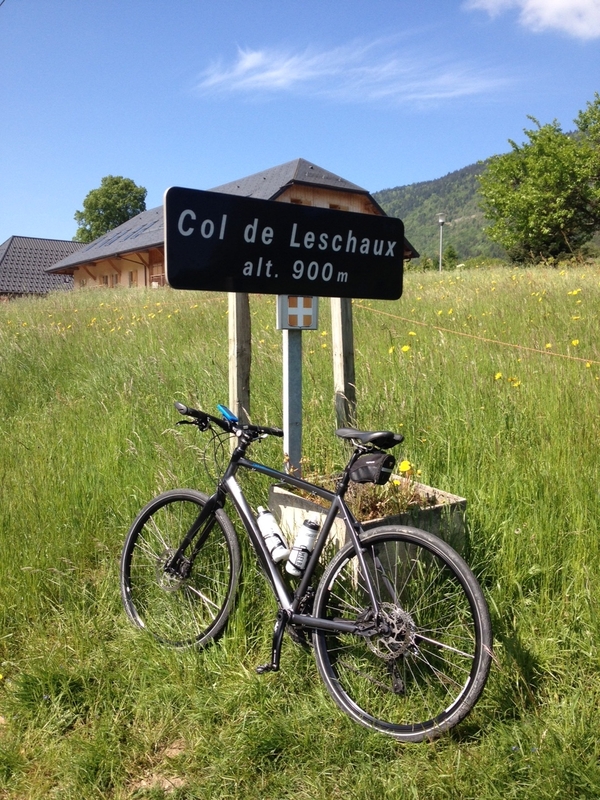 As it was the first time for the two of us to explore this extremely nice bikepath we realised that we missed the exit at Sevrier where we wanted to climb the road to Col de Leschaux. A few minutes later we noticed our mistake and returned to Sevrier on the normal road where we started the first climb on a very gentle slope of 4% until Col de Leschaux. 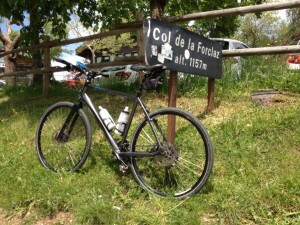 My friend brought his thriatlon bike with fast gears only and already pre-warned me at the start that he might not be able to accompany me on the Forclaz climb. On the Leschaux ascent however we rode together at a good pace and only stopped at the summit for our first snack and photo. At the junction we turned left and continued on the road to St. Jorioz via St. Eustache. Back on the bikepath we continued until Vesonne where my friend continued straight and I started the ascent to Col de la Forclaz, my first climb ever of this very nice col. The road is steep and winds up through a sort of canyon before reaching a plateau at Montmin. 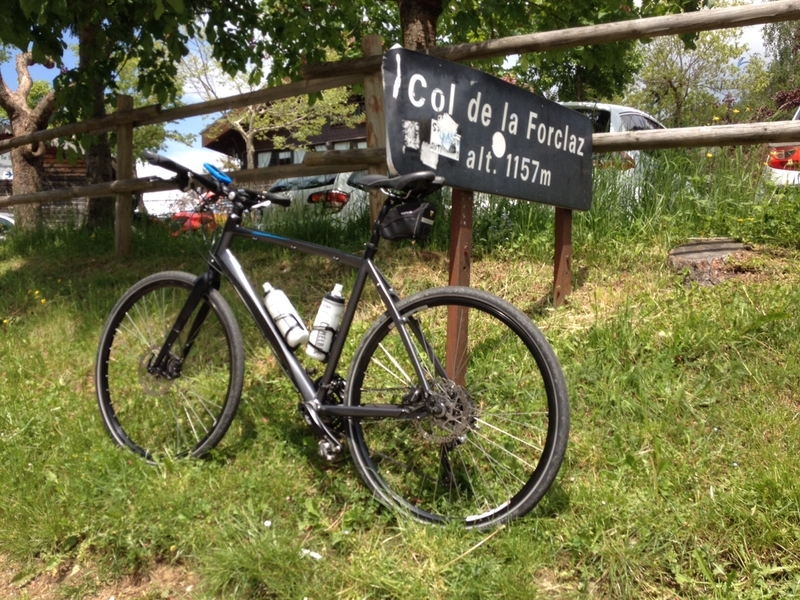 From there one can continue to Col de l’Aulp or stay on the main road and reach Col de la Forclaz. The last 500m are again very steep but the view on top rewards for all the effort and burning legs. The Hotel de la Forclaz even serves Bavarian Paulaner beer for a very reasonable price. After the summit beer and a col sign photo I descended towards Annecy and met up with my friend who returned on the bikepath of the western lake side.